Just like Peter Asbjørnsen, an outsider born 200 years ago who collected the Norwegian fairytales with priest Jørgen Moe. I’ll be bringing a hammock and look forward to sleeping in the forest when I’m not invited in. This is something I’ve been wanting to do for a long time. I know that under the surface there are hidden tales on the tip of the Norwegian tongue. Stories of brave fishermen, of grandmothers still offering blood and grain to a tree, of triumph and disaster today. I have another aim too. That is to collect stories of eating seaweed, stories of birds and fish, and how people have lived side by side with the elements over the centuries. When we hear these tales we may remember that greed for more black dripping oil must not drown the splendour of nature up here. The walk starts 26th June and lasts til 13th August. Out there I’ll be eating local food, not too much coffee, sugar and chocolate. A lot of fish, leaves from the forest and maybe some cheese. I’m so exited. Georgiana Keable has been a pioneer for the renaissance of storytelling in England (founder member of ’The Company of Storytellers’) and in Norway. She’s told at festivals in India, England, Denmark, Sweden, Finland and Iran. In 2002 she started Fortellerhuset with 8 tellers from 3 continents. Georgiana has told (often weekly) for 5 years at a local school, at Deichmanske libraries, the Literature House, Storytelling Room and in the Cultural knapsack in many counties. She has been teaching storytelling at Oslo University College for 15 years. 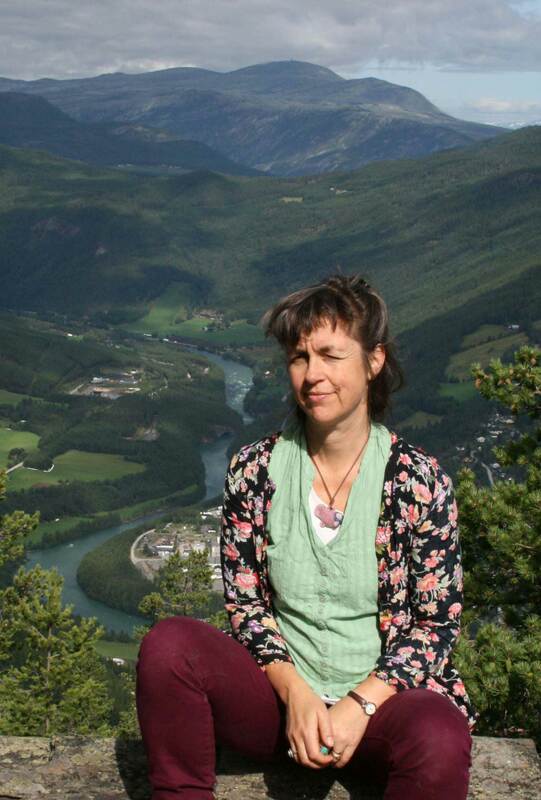 She led 6 storytelling festivals in Norway and at Festspillene in Bergen. She’s led Mothertongueday at Stovner for 5 years, and the new Storytelling Room, a space tailor-made for stories in the east side of Oslo. Georgiana tells stories reflecting our relation with nature, which might be myths, fairytales or stories based on history and science. Walking and telling with 11 year olds on the Pilgrims way each year since 2009. An annual eco-program in the Cultural knapsack is based on Thor Heyerdahl. Has held courses for Grønn Hverdag, Naturvernforbundet, Grønn Trosopplæring, Miljøfyrtårn and ’The Soil Association’ UK. Adult program ’Collapse and Coconuts’ (civilisations which collapsed and others which didn’t) at festivals, theatres and cafes in Norway and Sweden. Tales on Youtube: The story of Happiness, The Farmer and the Potato. CD The Green Man speaks.